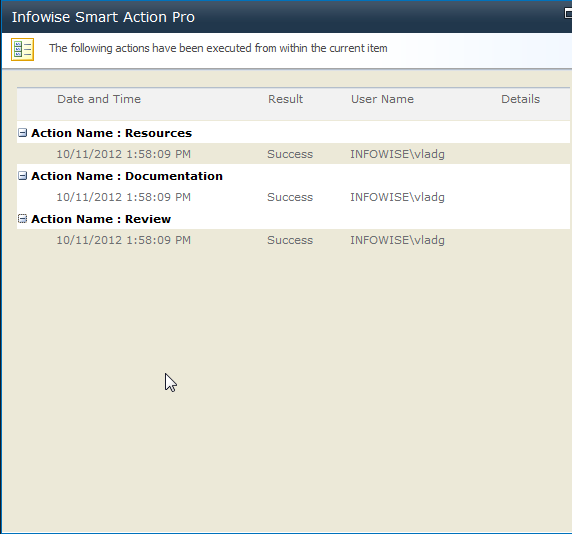 Infowise Smart Action Pro is a great tool for turning your regular SharePoint lists into real life business application. Using no-code approach you can build advanced solution using nothing but your browser. With 14 (and counting) different action type you can automate almost anything, from updating list items, creating site, managing permissions and even creating users in Active Directory. 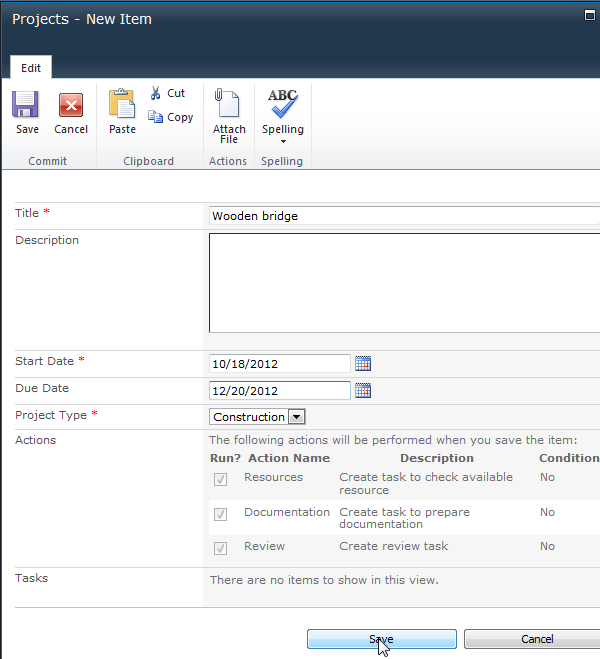 All the users need to do is create the project entry itself, all the tasks are generated automatically. Now we are ready to add our actions that will actually generate the required tasks. 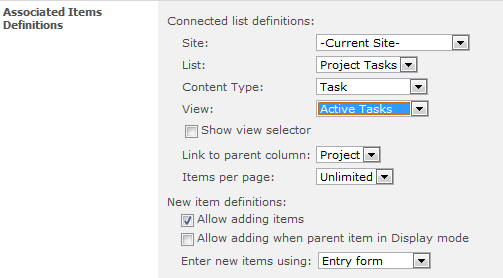 Go to List Settings of Projects list and then click on Actions Settings. First we need to create our Action column. The action column hosts the actions and enables their execution. The default name Actions is fine and you can also type in your e-mail address to receive notification if actions fail for some reason. Now we can create the actions themselves. The action type we will use is Create list item action. The actions only need to run when a new item (project) is created. Give each action a short name and a description. Switch to Action Settings tab. 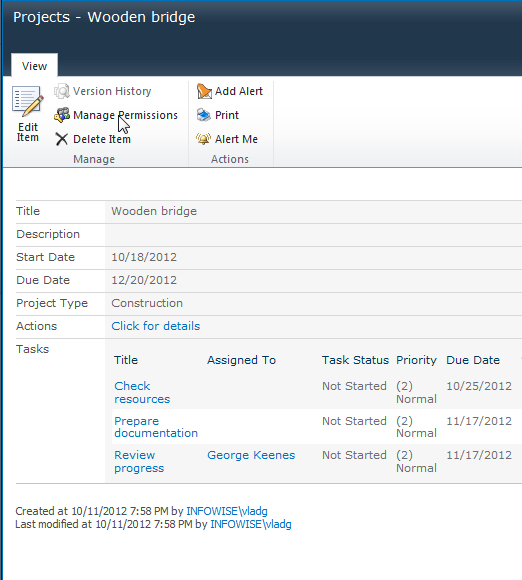 Now select our Project Tasks list and enter the values to be used in the new task. You can use column values from the current list, Projects, by entering column name surrounded by square brackets. You can also use the value builder by clicking on the icon to the right of the field. Click on the project itself to open it in Display form. You will see all your related tasks and will be able to manage them directly. You can also click on Click for details on the Actions column to view your action history. This is how easy it is! You can download 30-day trial versions of both products to see for yourself.